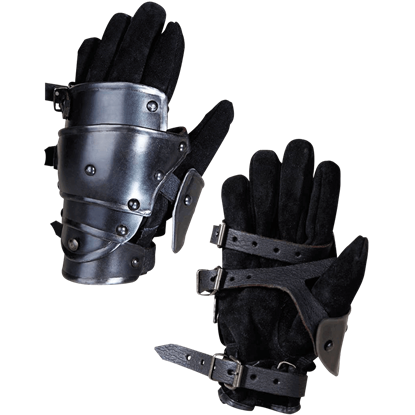 The 14th Century Articulated Gauntlets are great for protecting your hands while maintaining dexterity during light historic reenactment combat. 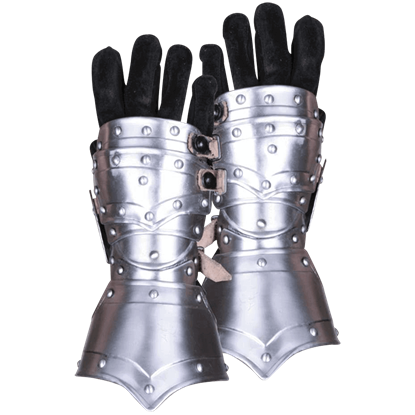 These 16 gauge steel gauntlets resemble those seen throughout the 1300s and 1400s. 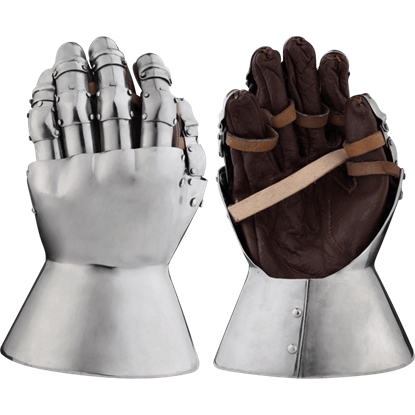 Steel gauntlets serve as an essential piece of medieval armour, protecting the fingers and hands of a warrior. 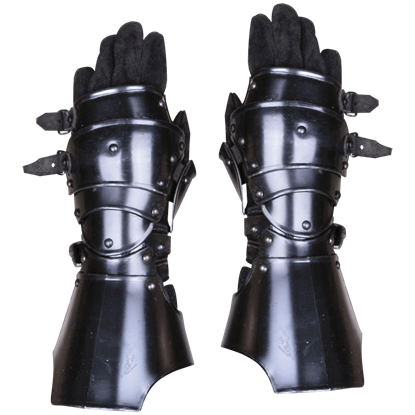 The 15th Century Decorated German Gauntlets feature excellent style and functionality, covering fingertip to wrist. 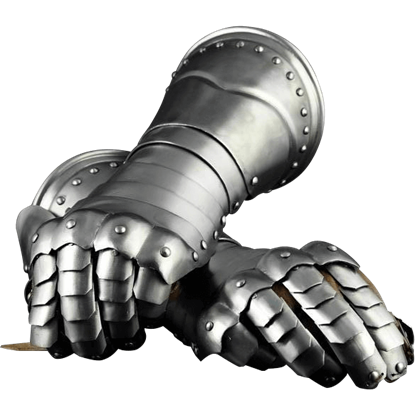 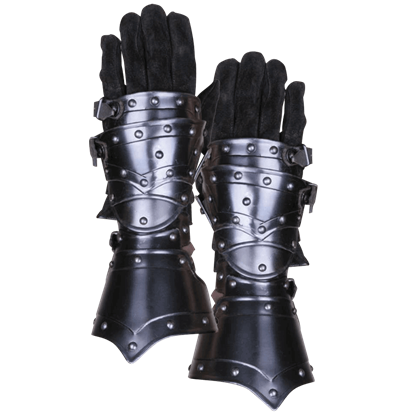 Add some finesse to your historic battle style with the 15th Century German Gauntlets. 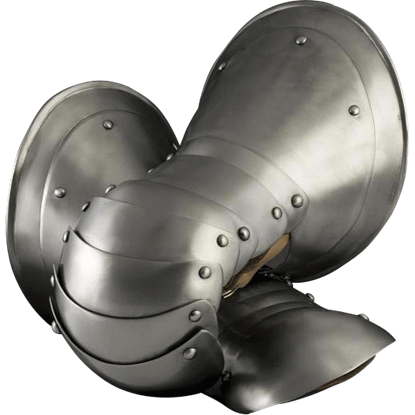 Handcrafted from 18 gauge steel, the curving edges of each metal segment are an elegant yet subtle detail suitable for the noblest of knights. 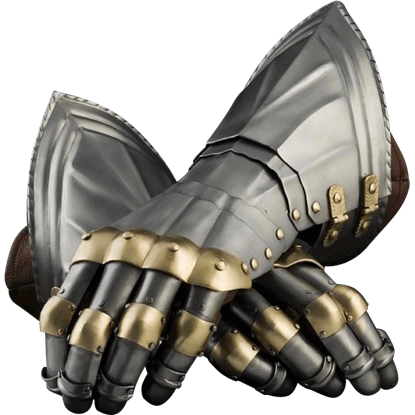 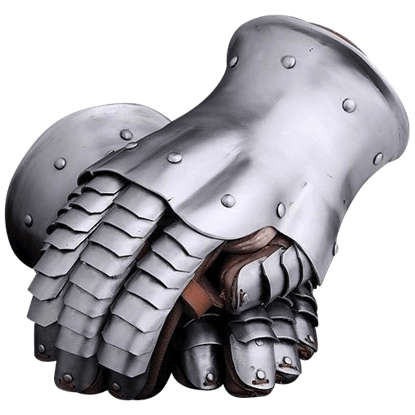 Any knight in his right mind uses steel gauntlets to protect his fingers from the blows of his opponent. 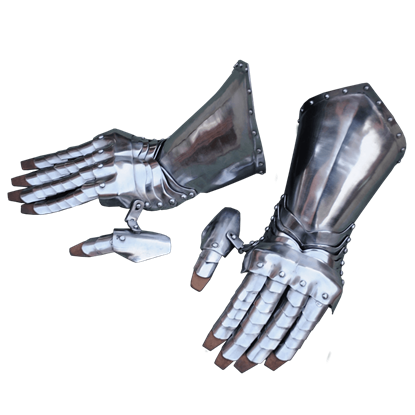 The 15th Century German Style Gauntlets with Brass serve as a complex yet beautiful addition to any set of plate armour. 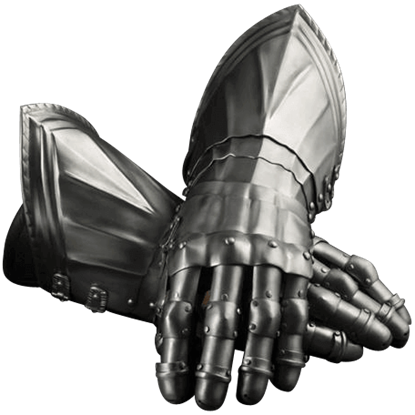 The 15th Century Mitten Gauntlets are modeled on hand armour used during the second quarter of the 1400s and beyond. 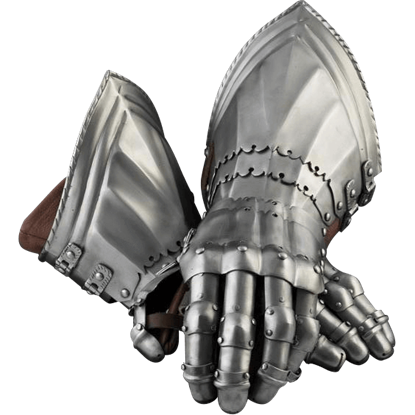 The steel gauntlets were often used by infantry who wanted to protect their hands when wielding pikes and halberds.